ARC clearly defined in accordance with policy here. Book blog tours are great, they're something I promised myself I'd do more of in 2017 - this one in particular is exciting and a bit of an honour for me, because I've been a fan of this author for a long time. 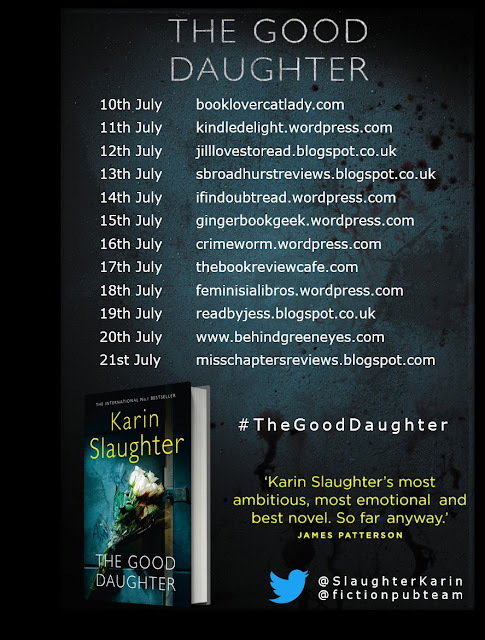 Today I'm hosting a stop on the tour for Karin Slaughter's latest standalone release, The Good Daughter. Charlotte and Samantha Quinn are just young teenagers when gunmen enter their home one evening and change their lives forever. Their father Rusty, is known locally as "Attorney for the Damned" - and that reputation has caused the entire family nothing but unimaginable trouble. Now in her forties, Charlotte is a defense attorney. When she is one of the only witnesses to a terrible crime that rocks the community, it drags up the events of almost thirty years ago. The family will once again be put under scrutiny - their loyalties questioned, their past examined, their truths uncovered. They will need to face their demons in order to work together and make sure justice is served. Again. This is a beast of a book (almost 600 pages) and I read it in one day, two sittings. If you're familiar with the work of this author you'll know how well she writes Police dramas - unusually, this one is told from the POV of the lawyers. It's one of those claustrophobic rotten-to-the-core smalltown books that this author knows how to do so well. I enjoyed this so much - it's one of my favourites of the year so far, and one of my favourite Karin Slaughter novels so far. It has a great plot, terrifying villains, really atmospheric setting, and strong female leads (one of the strongest being a transgender character who I would like to adopt me). I like the way the story is revealed, and how we go back every so often to find out what really happened on that fateful night almost 30 years ago. There are graphic, violent scenes that won't be a surprise to fellow fans, particularly in relation to some of the 1989 chapters. This isn't a problem for me, but proceed with caution if this is something that concerns you. Although this is a standalone, there is a prequel available. 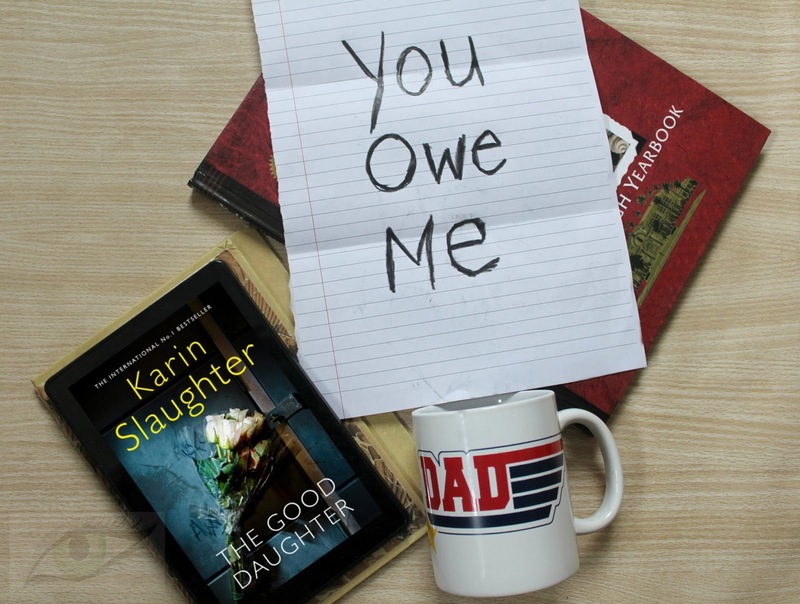 It's a novella called Last Breath (The Good Daughter #0.5) that's set a few years before this story takes place. It follows a case that Charlie takes on pro bono, and is not related to the events in this story. I read and enjoyed it very much too, I would love to read more stories featuring these characters. The Good Daughter is available for Kindle and from all good booksellers now (and don't forget your library!). If you'd like to see some reviews from the other bloggers taking part in the tour, please check them out below! Its great to hear you enjoyed this one a lot.